As you start making plans for your 2016 ITALY travels, here’s the scoop on what’s new around the boot. From newly-opened museums to major restoration works completed, from revamped hiking trails to new museum itineraries, read on to find out what you shouldn't miss in Italy in 2016. Expect Rome to be even more crowded (sigh). Pope Francis has declared 2016 a special Jubilee Holy Year, and up to 35 million pilgrims are expected in the city, with the larger crowds awaited during Spring and Summer, when major events, such as Jubilee of boys and girls (24 April), Jubilee of the sick and disabled (June 12), Jubilee of youth (July 26-31) and Jubilee of volunteers (September 4) are scheduled. Expect longer lines and tight security measures, especially at St. Peter’s. The Trevi Fountain is shining and flowing again! The 17-month restoration work, financed by fashion house Fendi for a total of 2.2 million euros, was completed successfully in November. Stop by at night to admire the new high-tech lighting system, featuring 100 LED lights. The iconic Spanish Steps are also under restoration (the project is being funded by the Italian luxury jewelry firm Bulgari). The work, which includes re-leveling the steps to repair natural wear, maintenance of the rainwater drainage system, and restoring the original lamps which illuminate the steps at night, is expected to be finished by the Spring. 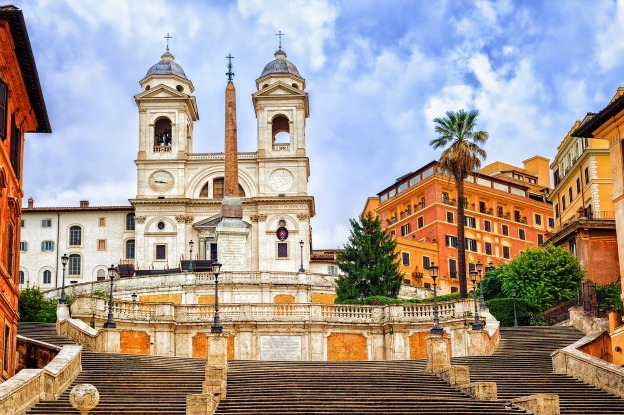 The Spanish Steps will be closed to pedestrians until then, but a side ramp is open during daytime hours to allow visitors to view the Barcaccia fountain and Via Condotti. With the special Jubilee under way, the Via Francigena, one of Europe’s most important pilgrimage routes starting in Canterbury, England, and ending in Rome, is likely to see an increase in visitors walking its 80 stages, confirming a trend begun last year. Due to a general lack of infrastructure and support facilities, the Via Francigena has much fewer pilgrims than the other main pilgrim route in Europe, Spain’s Camino de Santiago. However, that is expected to change as the Association of Via Francigena works to improve road signs, safety, and accessibility. For example, a new entry point into Rome has been opened inside the Natural Reserve of the Insugherata (by Via Cassia 1081); it covers 13 kilometers from Via Cassia to St. Peter’s Basilica. Some of Florence's most important medieval and Renaissance sculptures have a new home in the revamped space in the expanded Museo dell’Opera del Duomo, which opened to the public at the end of October. The collection consists of about 750 statues and reliefs, with pieces by artists of the caliber of Arnolfo di Cambio, Andrea Pisano, Donatello, Lorenzo Ghiberti, Andrea del Verrocchio, Luca della Robbia and Michelangelo. The Museo degli Innocenti, a new museum housed inside the Brunelleschi-designed Ospedale degli Innocenti on Piazza S.S. Annunziata, tells the story of the Renaissance-era institution devoted to the care and protection of children. Exhibitions will focus on the stories of the women and children who lived at the hospital. The Hospital of the Innocents was the first secular institution in the world to deal exclusively with child care and is therefore synonym with the protection and rights of children. The museum, which will house 80 works of art by the likes of Luca and Andrea della Robbia, Sandro Botticelli, Domenico Ghirlandaio, Piero di Cosimo, will be inaugurated in June 2016. The Uffizi Gallery is undergoing renovation to improve security, lighting, and climate controls. For this reason, you may find that some works of art have changed location or have been temporarily removed from view. Some rooms may be closed off entirely. The Early Renaissance rooms, the first rooms that visitors enter, have recently reopened. 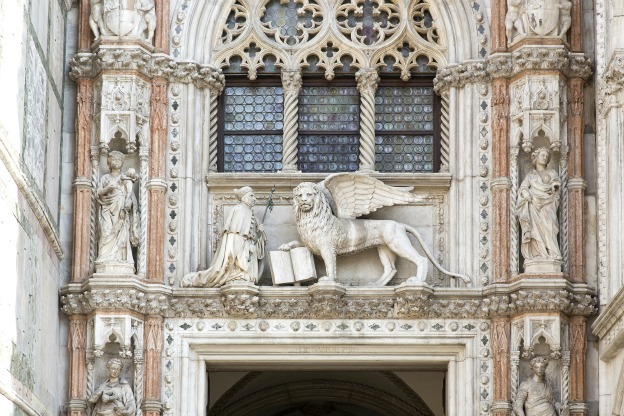 A new guided itinerary inside the Doge’s Palace was recently inaugurated, “The Doge’s Hidden Treasures.” It allows visitors to enter the Doge’s private rooms in the wing of the Doge’s Palace adjacent to the Basilica. The tour begins near Porta della Carta, adorned with lavish sculptures and marble decorations, and continues up to the Loggiato, where Doges would appear during public events. From this vantage point, visitors can admire the entire area of St. Mark’s. The itinerary includes visits to the Loggia Foscara, the hanging Terrace, part of the Doge’s Apartment, where his family life took place, the squires’ and servants’ quarters, the frescoed Chiesetta and Antichiesetta. This itinerary requires advance reservations and a qualified guide. Also, stay tuned for celebrations marking the 500th-anniversary of the Jewish ghetto. On the day of the anniversary (29th March 2016), the Fenice Opera House will host an official ceremony (more info here). Cited by The New York Times in its “52 Places to Go in 2016” (the only Italian destination in the list), Turin is keeping up its vocation for innovation and creativity. After the Sanpaolo skyscraper by architect Renzo Piano was inaugurated in 2015, it is the turn of another futuristic building, the new skyscraper housing the offices of the Piedmont region, by another major Italian architect, Massimiliano Fuksas. The Egyptian Museum, which houses the world’s second largest collection of Egyptian antiquities, has doubled its exhibition space. Revamped areas around the city, such as the warehouse district Docks Dora, with galleries, ateliers and clubs, and a series of cultural events, including Slow Food’s Salone del Gusto, will contribute to the lively scene. In addition, the recently UNESCO-designated Langhe-Roero and Monferrato area is not too far away and worthy of a visit - with wine, cheese and truffle tasting, of course. 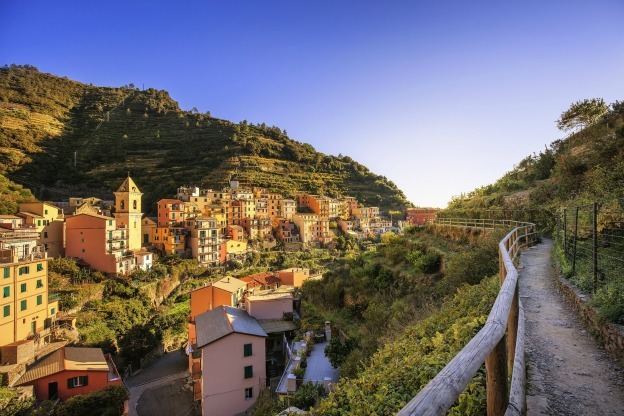 At long last, the hiking trails linking the five villages of the Cinque Terre are beginning to reopen, five years after a devastating flood forced their closure. The trail from Monterosso to Vernazza is officially open; the trail from Vernazza to Corniglia is still officially closed, but can be used; the trail from Corniglia to Manarola and Riomaggiore, which includes the famous Via dell’Amore, is closed, but expected to reopen by summer 2016 (check for updates as this information is subject to change). These two cities in the northern region of Trentino-Alto Adige are home to two notable museums, which every year host interesting exhibitions. In Trento, at the science museum MUSE, an exhibition on the topic of extinction is scheduled to take place. In Bolzano, the South Tyrol Museum of Archaeology, home to the famous Otzi, or the Iceman mummy, is hosting “Heavy Metal – How Copper Changed the World”. It opens on February 2 and continues until January 2018. Also, don’t miss these four major cultural events taking place in 2016 (including a “best of” edition at the Arena di Verona for its annual opera season), and remember that state museums, monuments, archeological sites and gardens are free the first Sunday of the month. *This article alone doesn't presume to cover all the new things happening and opening around Italy in 2016, so if you want to stay up-to-date, make sure to sign up to our free weekly newsletter and follow us on our social media channels (see buttons below). Need help planning your ITALY trip? Visit our dedicated section.